On Thursday, November 23rd, Cristo Rey hosted its Annual Community Thanksgiving Meal and graciously welcomed anyone who was in need of warm cooked food. The feast began promptly at noon on Thanksgiving Day and immediately, the giving spirit was evident. An astounding amount of selfless volunteers donated their own holiday time and worked tirelessly to ensure a quality meal was put before each community member. Cristo Rey staff, which included Development Director, Michelle Smithers and Executive Director, Joe Garcia, also pitched in to help manage the flow of the meal as well as warmly greet each person as they came through the doors. The overall turnout of the event, which lasted until 2 pm, was phenomenal. A total of 169 volunteers offered time out of their holiday schedule to engage in tasks such as meal prep, table design, children’s arts and crafts, cleanup, and much more. A whopping combined total of 330 meals were served to community members present at the event as well as delivered to residents dealing with medical or mobility issues. Volunteers and staff relished in the smiles that appeared on the faces of each community member as they were given their prepared dish. Cristo Rey truly owes it all to the wonderful volunteers for making this annual event go off as smoothly as it did. We could not have possibly done it ourselves and it was those 169 helping hands that made Thanksgiving a reality for those in the community who cannot normally afford the spread they were able to enjoy that day. An enormous thank you goes out to Rob Strouse from St. Jude’s Catholic Community Center for donating the turkeys, Blue Care Network for sponsoring, the Kellogg Center for making sure all turkeys were cooked properly and to volunteers who helped the day before, day of and brought food to pass! Click here to view our Corporate Sponsors for our 2017 Annual Thanksgiving Feast. 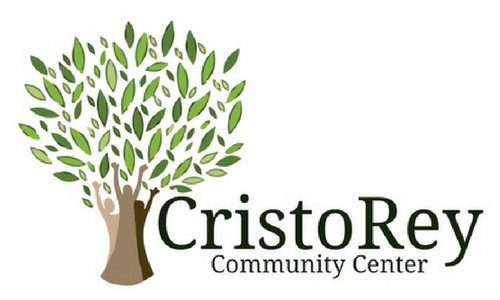 Cristo Rey Community Center (CRCC) is a basic needs service center open to anyone in need.